When Alice Ticino’s pony bolts and crashes into a family of strangers, it changes her life. Before long, this lonely and unloved girl has been befriended by the whole family. Even better – a dream come true – she is allowed to wander freely in their stables, where they train racehorses for wealthy owners. There’s just one rule: Alice must stay away from Snatchcorn, a beautiful stallion so dangerous that he is soon to be put down. But as Alice finds a special bond growing between herself and Snatchcorn, can she save his life by showing his owner that he can be tamed? Bursting with beautiful horses and masterful plotting, this is a glorious tour-de-force from the author of Flambards. 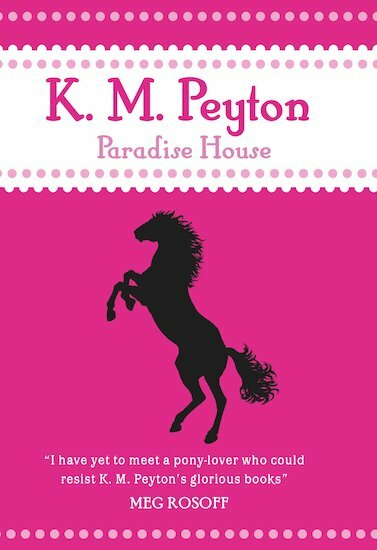 Love k m peyton. Brill book! K.M. Peyton won the Guardian Children’s Book Award for Flambards, and the Carnegie Medal for The Edge of the Cloud.